As Director of Technology at One Pica (Magento Golden Partner), Joe fronts the Development process and manages the Development Teams. He works together with the Creative and Strategy teams to ensure the concept, design and technical elements all mesh creating the architecture and functionality that will transform concepts into fully operational websites and applications. 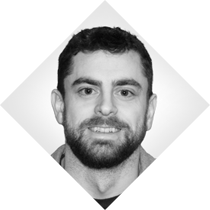 At One Pica since 2005, Joe brings an extensive and diverse background in Enterprise Application Architecture/Development and User Experience development. His expertise is evident in the quality and ease-of-use of One Pica’s delivered enterprise systems. Joe holds a BS in Computer Science from Rose-Hulman Institute of Technology.